It’s messy. It’s cluttered. It’s hodge-podge. It looks thrown together, like you didn’t care. It looks like “Why did they bother”? 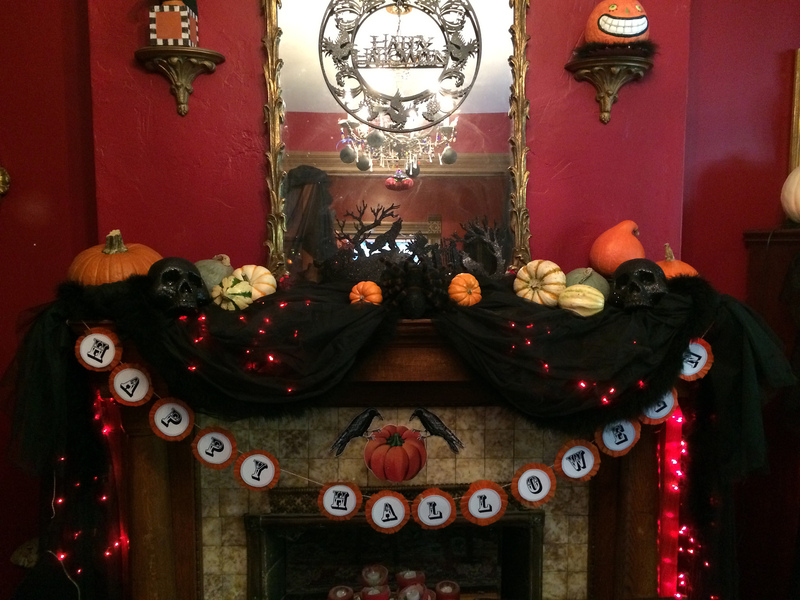 The best way to get a good look for your Halloween decor is to put away the everyday stuff (at least some of it) and create holiday vignettes where you want the decorations to shine. (Usually the best places to go all-out are where people will be gathering: The porch or patio, the front entry, the dining room. 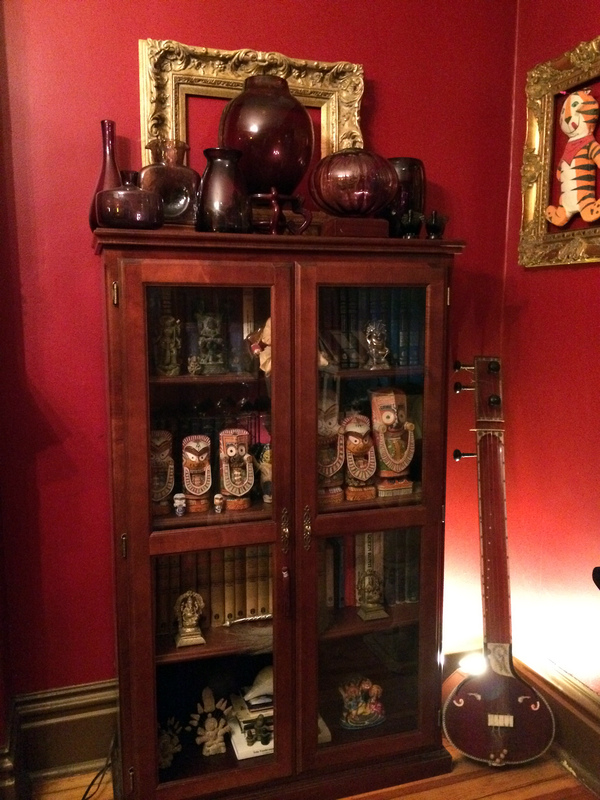 I have a huge antique trunk in the dining room. This is where all the “every-day” decor and tchotchkes are carefully stored away for the holiday season (Halloween-New Years) so I can get crazy and look good for the holidays. All kinds of stuff, from different eras, tossed randomly around the house. It doesn’t really work. Organize your spooky goodies into themes, by area. I have all sorts of different goodies that I’ve collected over the years from thrift stores and yard sales, but I make it work by grouping by color, era, or subject matter. Do you have an awesome collection of vintage pumpkins? Group them on a table for a delightful vignette. Have a bunch of cool skulls? Display them together on the mantle. Collections have a much greater impact than objects placed individually. Have a bunch of miscellaneous Halloween stuff that’s just all orange? That works, too. And lastly, if you are into the scary stuff, keep that together as well. Cute and scary don’t get along so well in the same space. Try creating a theme in each room, or at least in different areas of the same room. 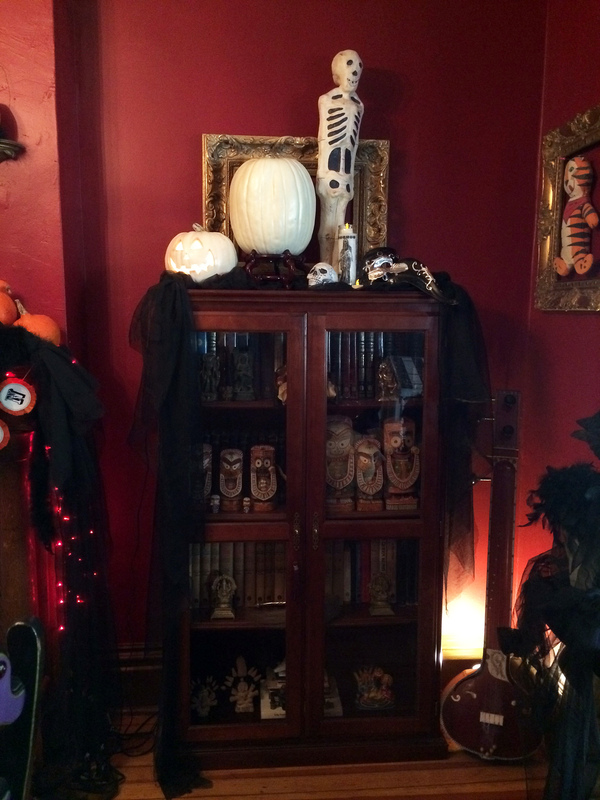 In my main room, I have several different vignettes: The white and black stuff is together on the tall cabinet; the Devilish stuff is on, in or near the short cabinet, and a skull collection resides by the window. All my Dia De Los Muertos decor is grouped on the front porch. Mistake #3: No unifying factor. The unifying factor is what pulls it all together. It’s what makes the eye flow easily from one space to another. My unifying factor is sheer black fabric. 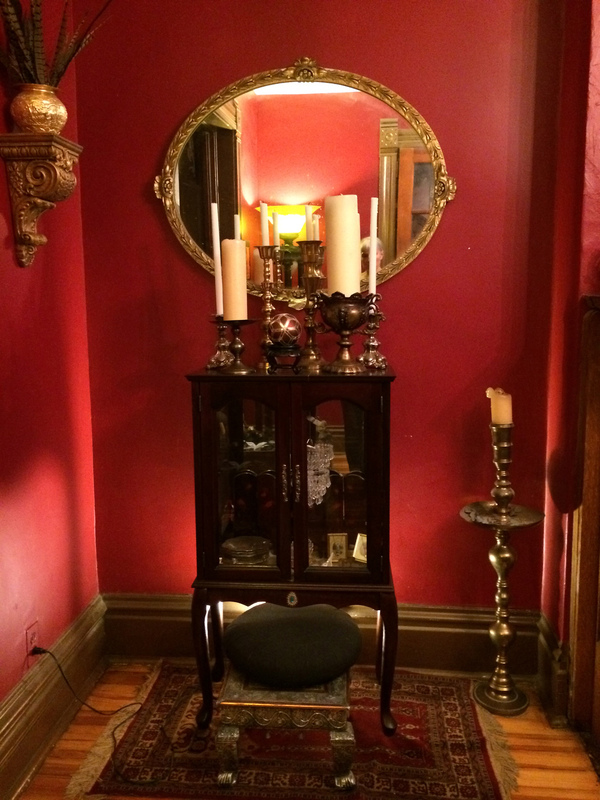 It goes with every vignette in the house, and even though the displays may be different in the room, the use of the black flowing from one to the other pulls it all together. I removed the purple glass collection and grouped all the what and black items here, with some of the “unifying” sheer black fabric. Again, all the regular every day decor has been packed away for the glory of Halloween. All the “devilish” things are in this corner. I cleared out the cabinet and put my devil head in there with some red lights. Instead of packing away the candles, I decided to just use them differently. You can never have too many candles, they create a great atmosphere. You’ll notice the sheer black fabric repeated here as well. 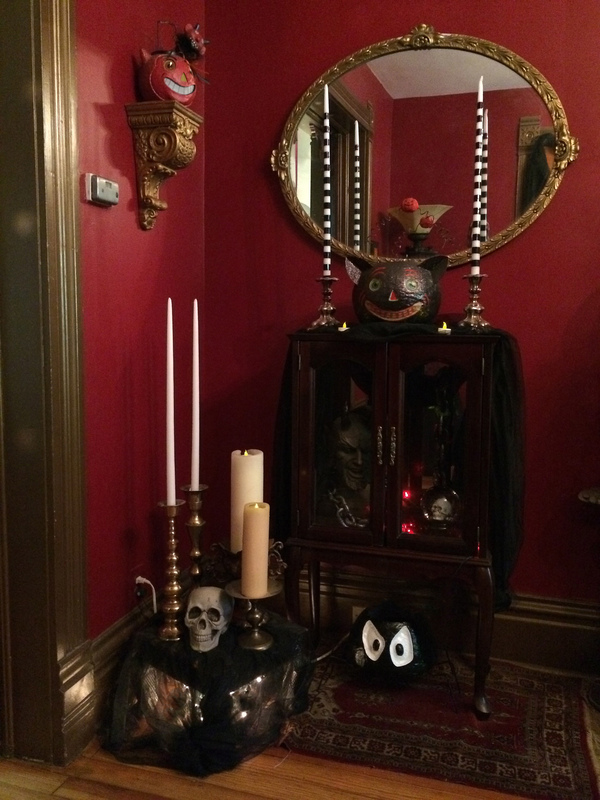 See all the Halloween decor here: The Front Room, The Entry & Stairwell, and Outside. This entry was posted in decorating, DIY, Halloween, Holiday Decorating, Holidays, home and tagged biggest halloween mistake, creative Halloween, decor, decorating, DIY, DIY Halloween decor, DIY Halloween Decorating, Halloween, halloween collection, halloween decorating mistake, Halloween decorations, halloween mistakes, how to decorate for halloween, vintage halloween. Bookmark the permalink. 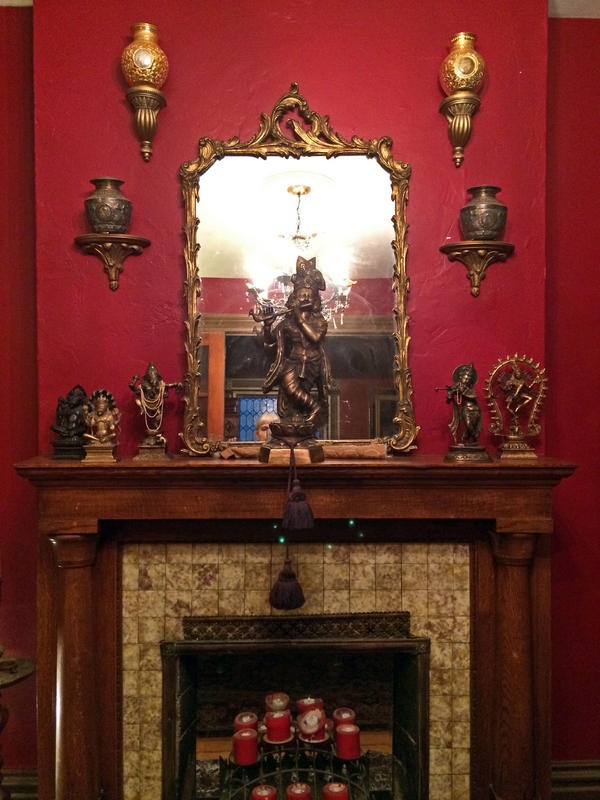 ← Victorian Gothic Halloween, A Home Tour: Part 2: The Entry & Stairwell. Hi Angela! They actually have been used in the past, but you are right, I generally don’t light them outside for safety reasons. I do use one of my little candle tricks for parties though. I put those battery tea light in the tops. There are 2-3″ “wells” in the top of the candles from being lit in the past. It works great!